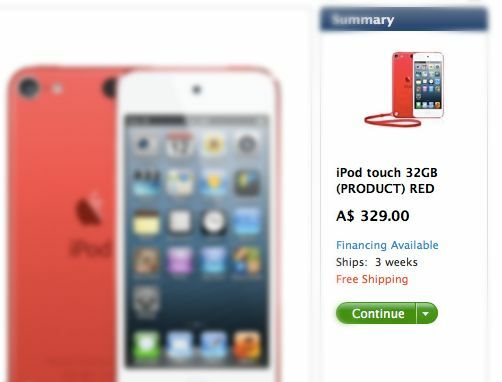 New iPod Touches To Begin Shipping In 2-3 Weeks? The new 4-inch, fifth-generation iPod touches aren’t out yet, and Apple will only stubbornly insist that they are shipping sometime this month, but Sam Adams at Today’s iPhone noticed yesterday that the Australian Apple website listed ship dates for the new iPod touch as being between two-three weeks. Not a long time to wait, certainly, but still disappointing considering they were announced three weeks ago and still won’t be shipping out until the end of October.